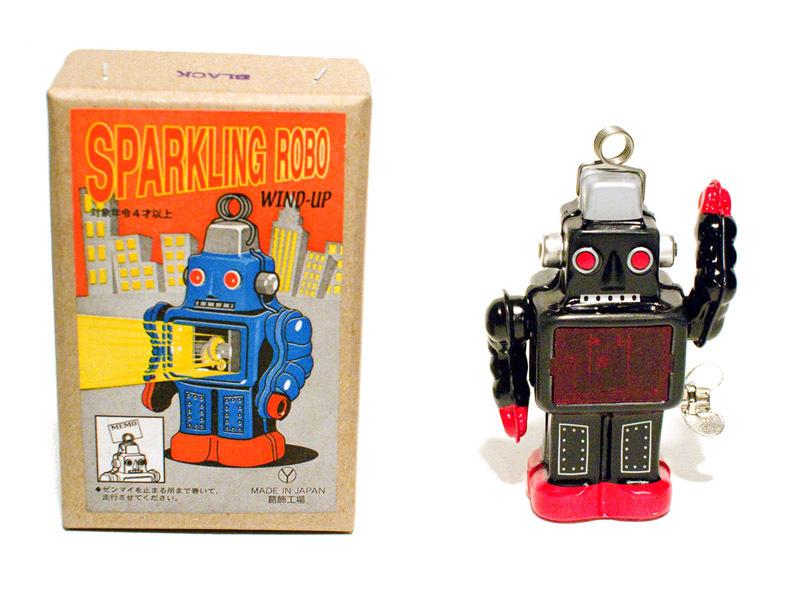 The amazing Sparking or "Sparkling" Robot has a clear panel on its torso to reveal an electric storm of sparks in its core engine when wound up. It also moves relentlessly forward with a waddling action on concealed wheels. 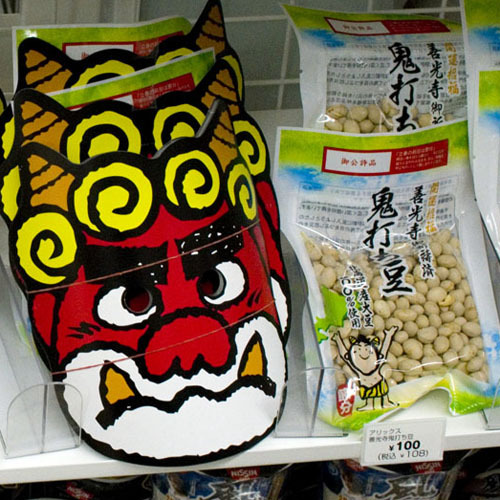 Much to the surprise of visitors, cardboard demon masks are a regular sight in convenience stores and supermarkets this time of year, as families with young children prepare for the annual Setsubun bean-throwing ceremony. "In with good luck, out with demons" is shouted during the ceremony by children as they pelt a mask-wearing demon (or parent) with dried soybeans. 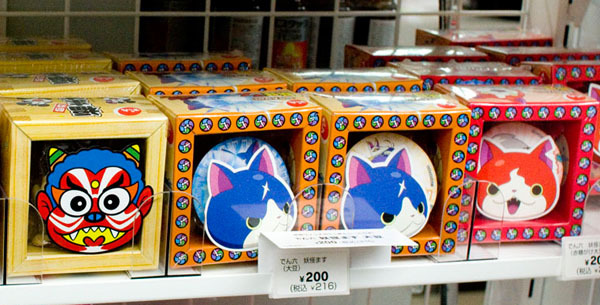 This traditional rite seems to have suddenly entered the age of anime, as 7-Eleven is marketing setsubun kits (soybeans, mask and a square cup to hold the beans) featuring mischievous characters from the enormously popular Yo-Kai Watch anime and videogame franchise playing the role of demon. 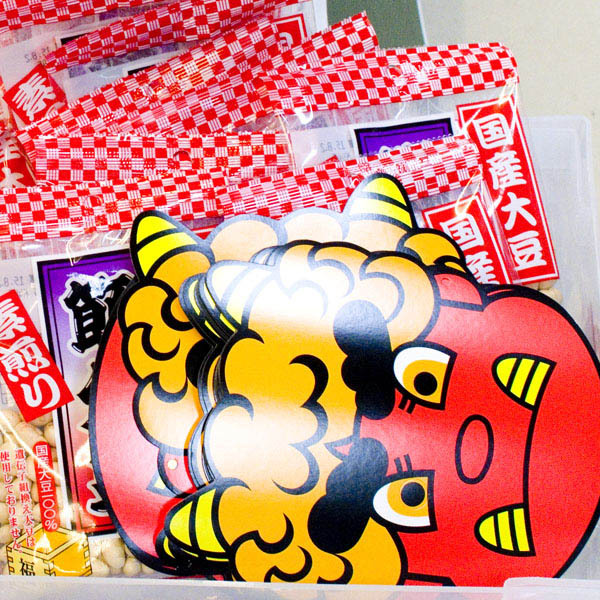 The special kits, from candy company Denroku, are Y200, while a regular Y100 bag of soybeans (at 7-Eleven and elsewhere) usually comes with a free, somewhat more old-fashioned demon mask.